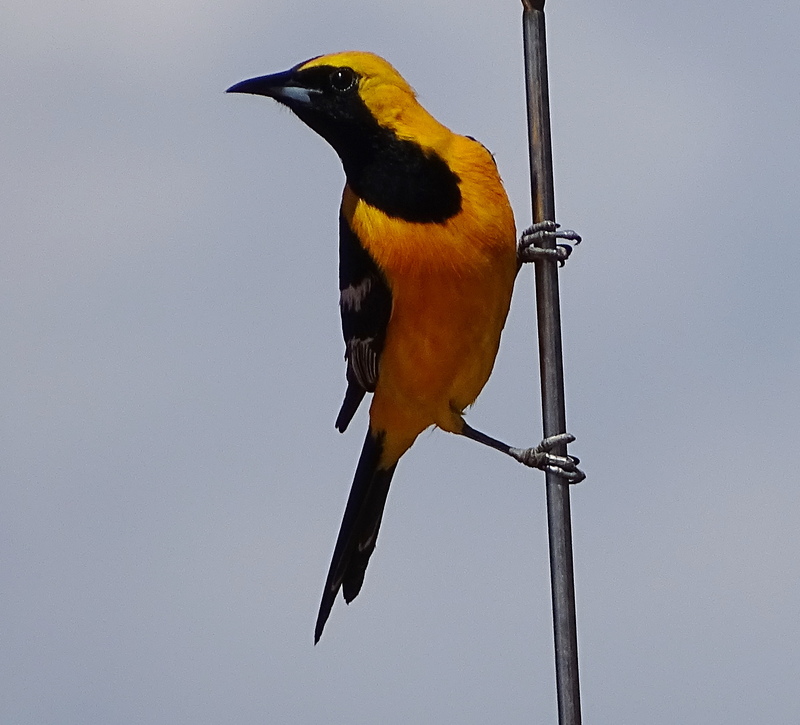 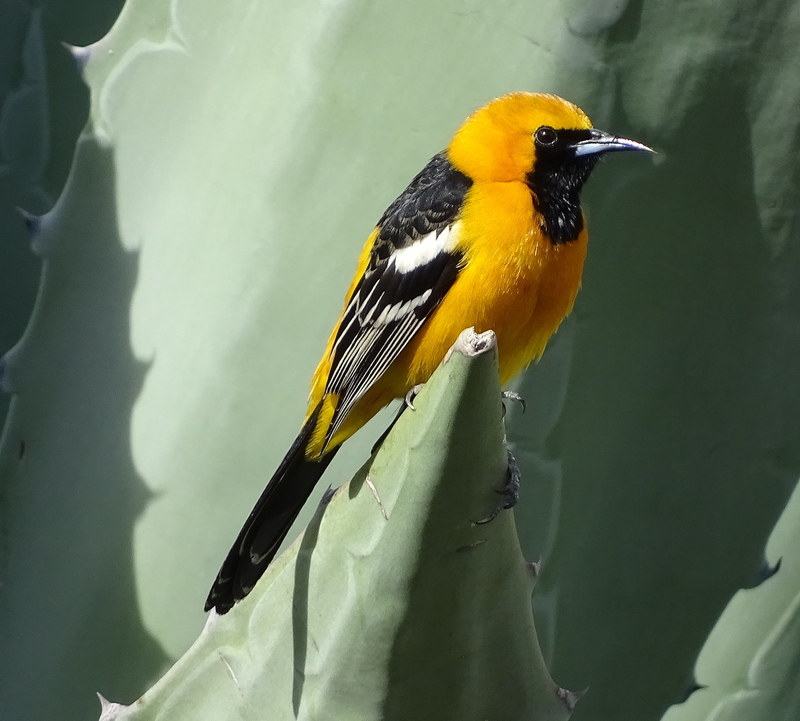 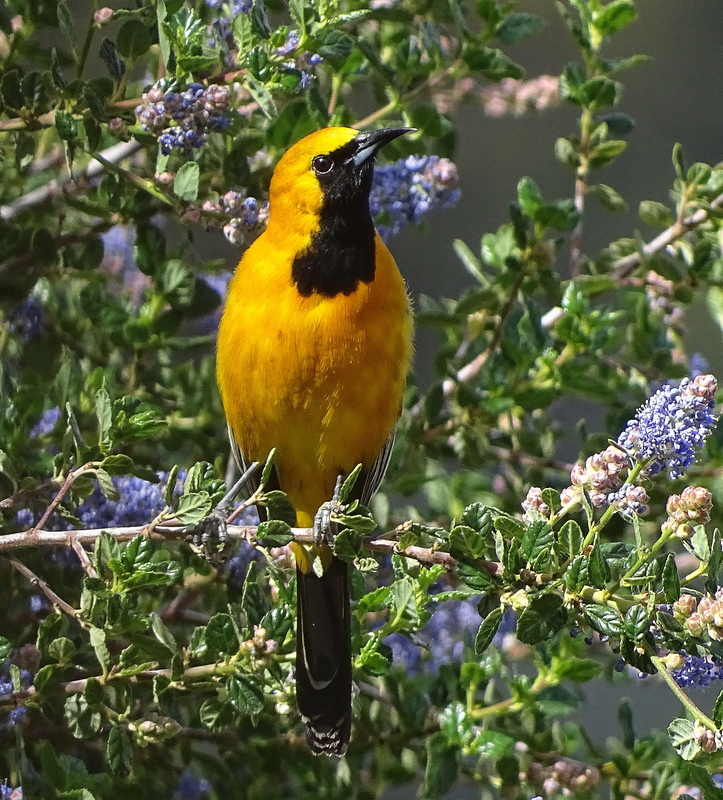 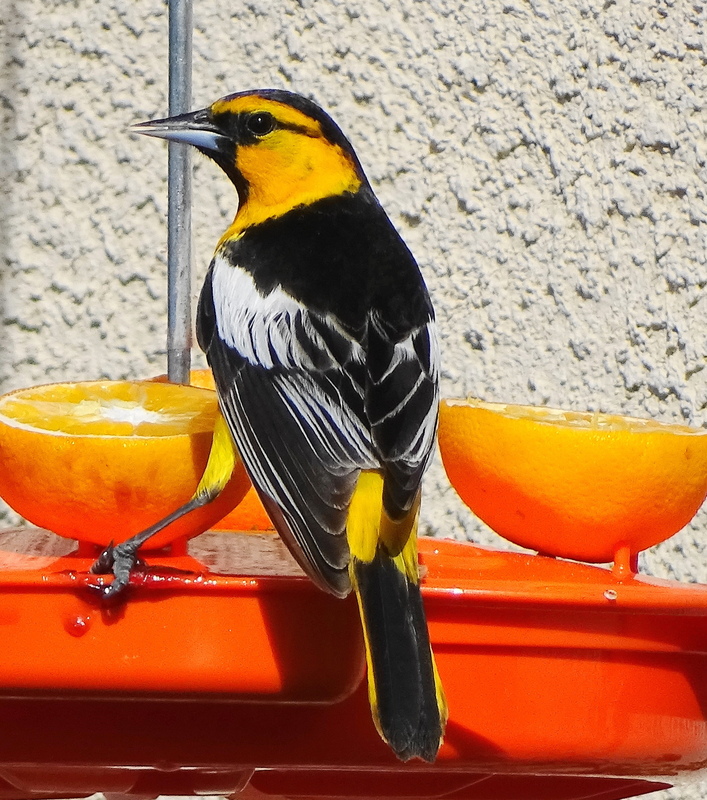 Look who showed up, the Hooded Orioles! 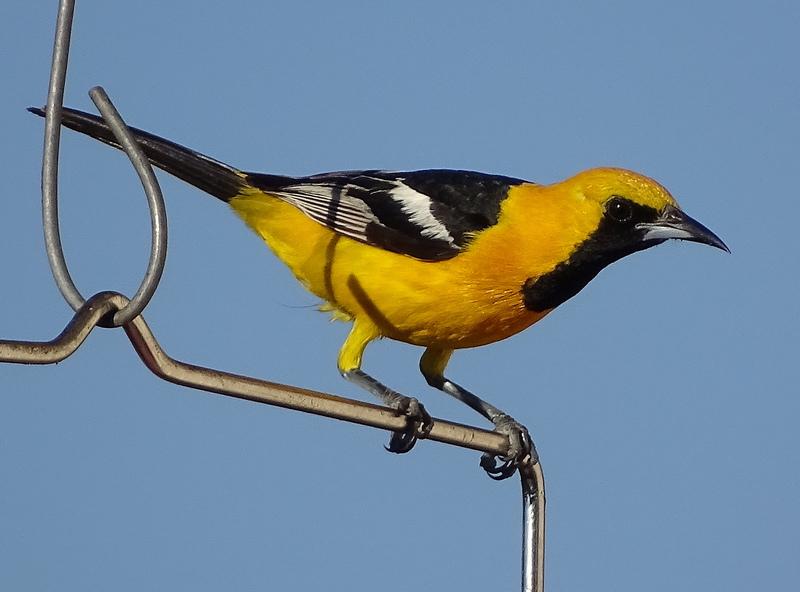 It is cause for celebration when these raucous, rackety, bickering-beauties show up each spring to spend the summer. 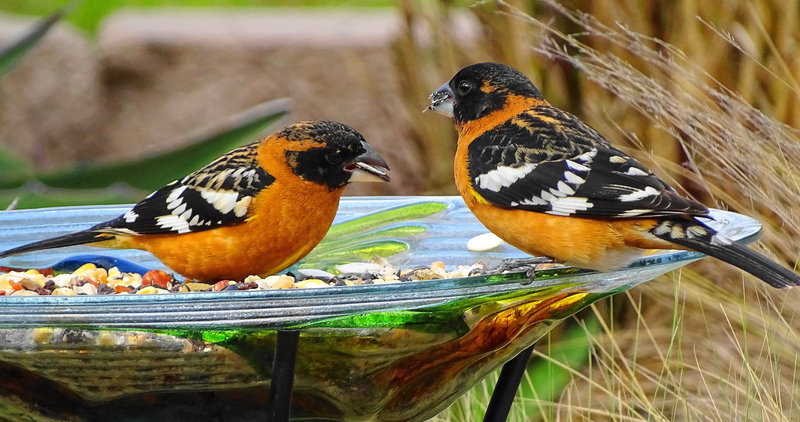 I so look forward to another season of their antics. 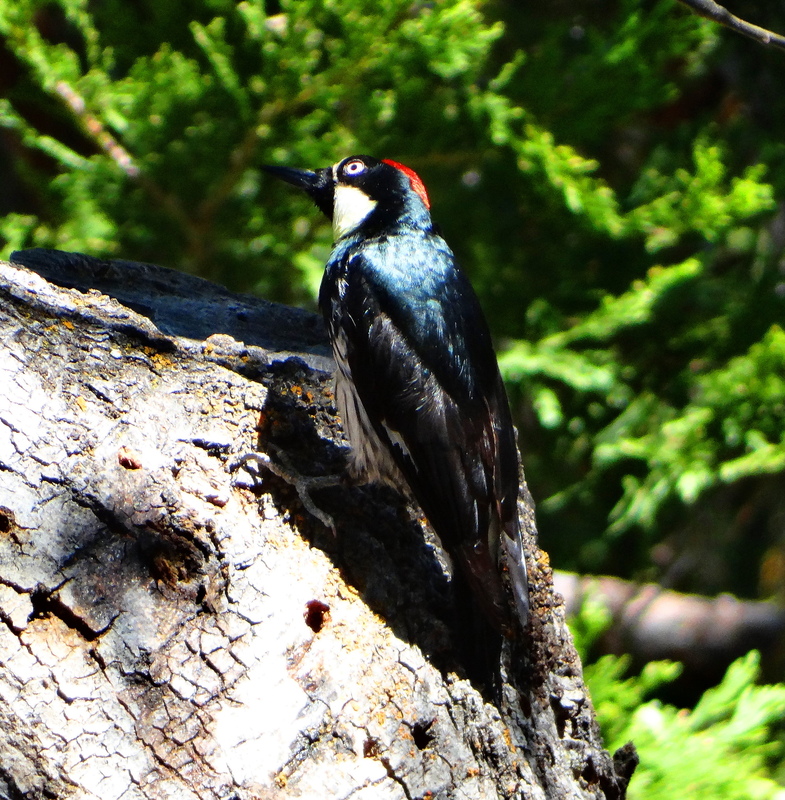 They make scrub jays seem shy, quiet and retiring by comparison! 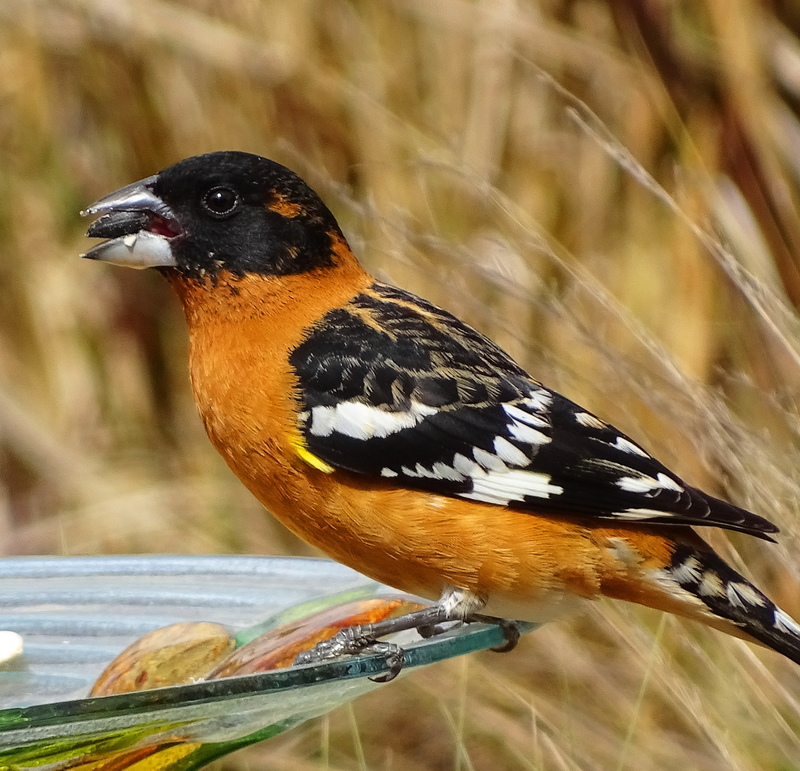 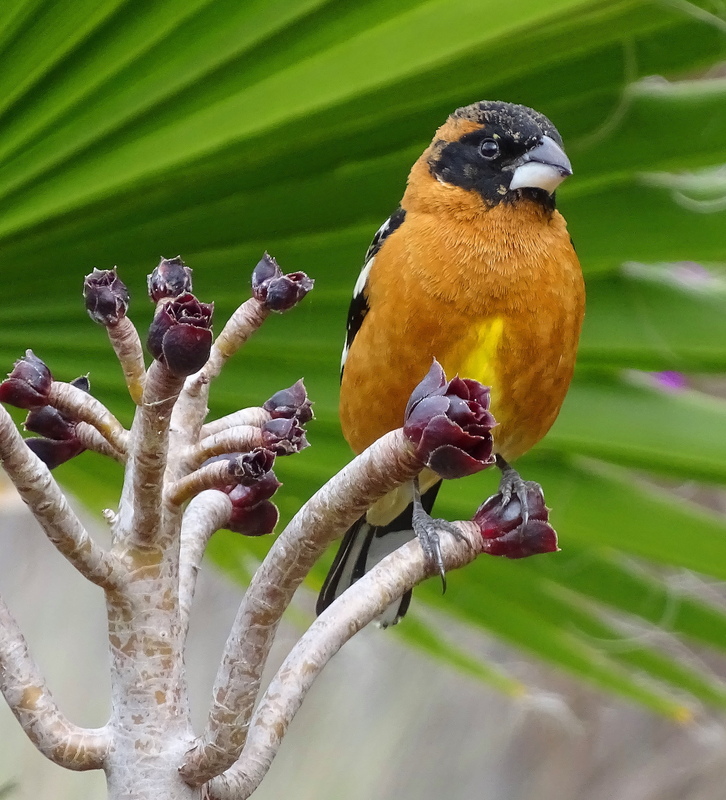 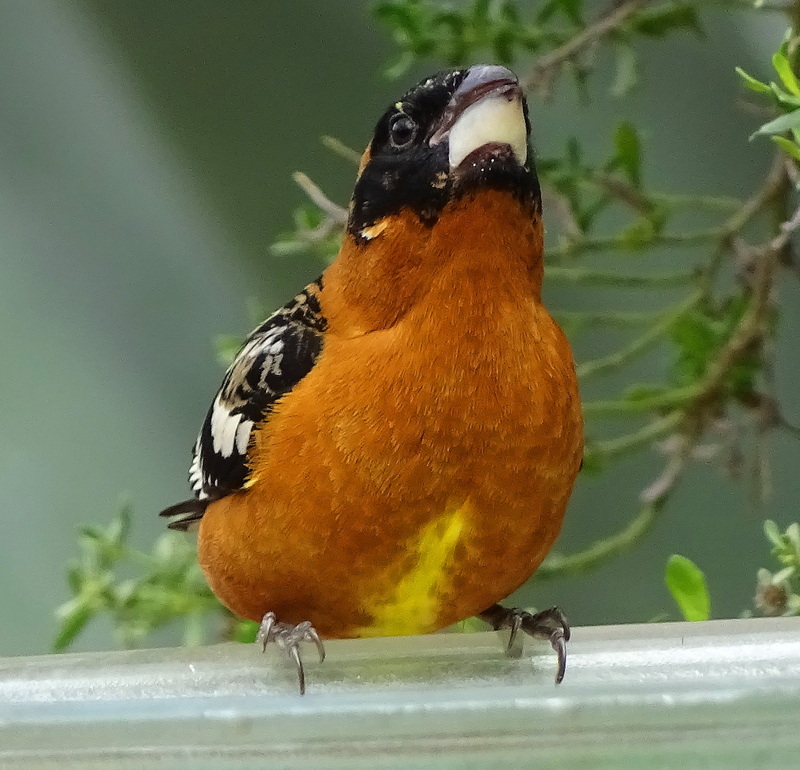 The Black Headed Grosbeaks arrived with the Orioles. 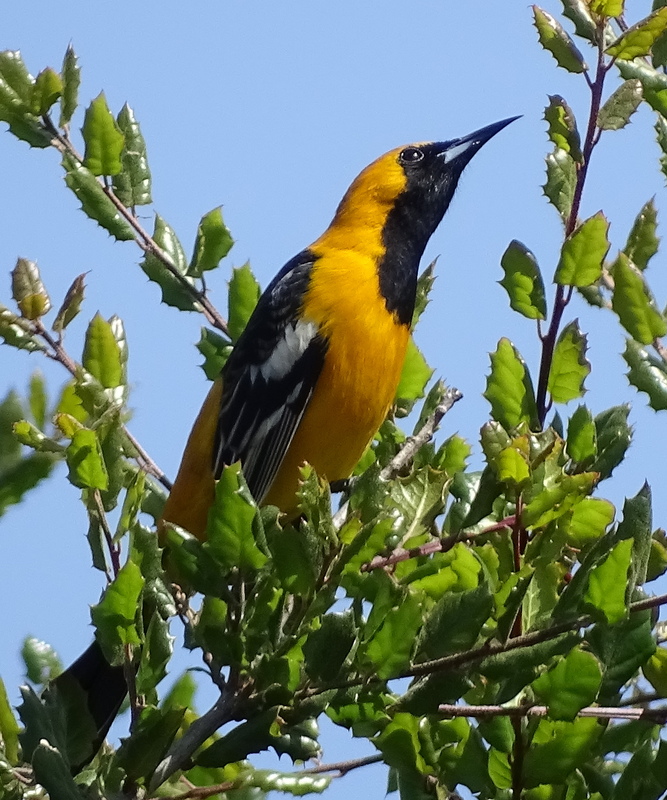 They are much shyer birds but hopefully they will assert themselves a bit more with the orioles this season. 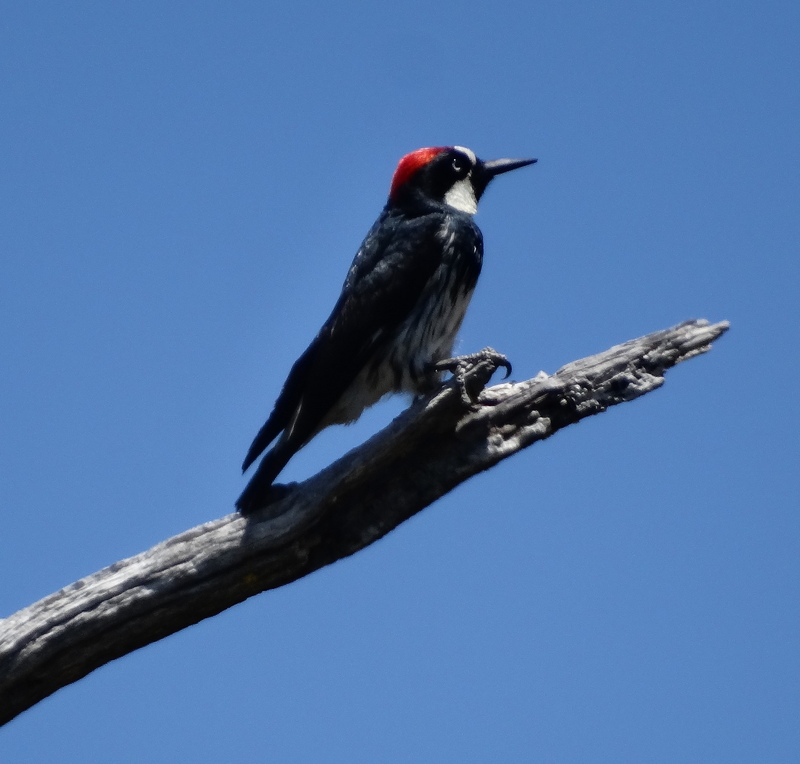 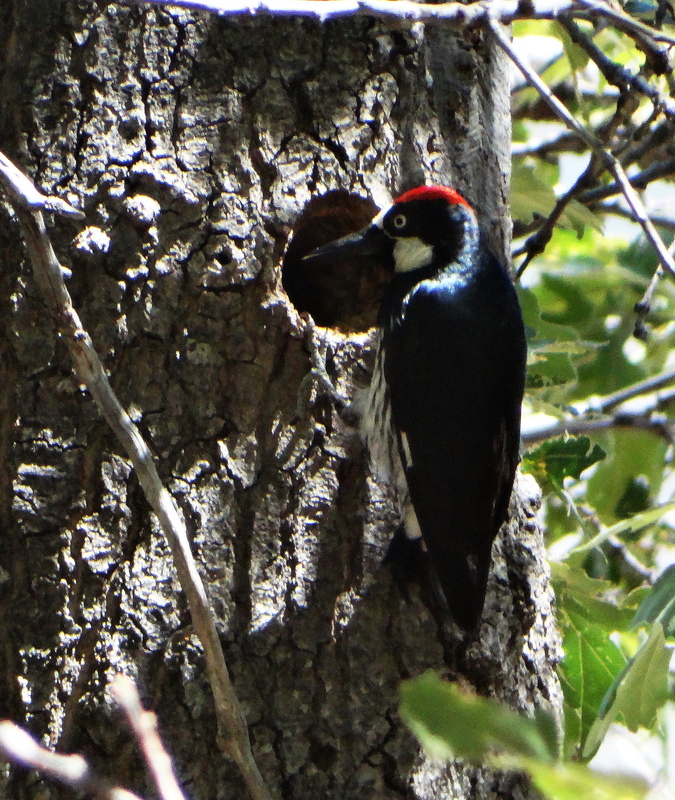 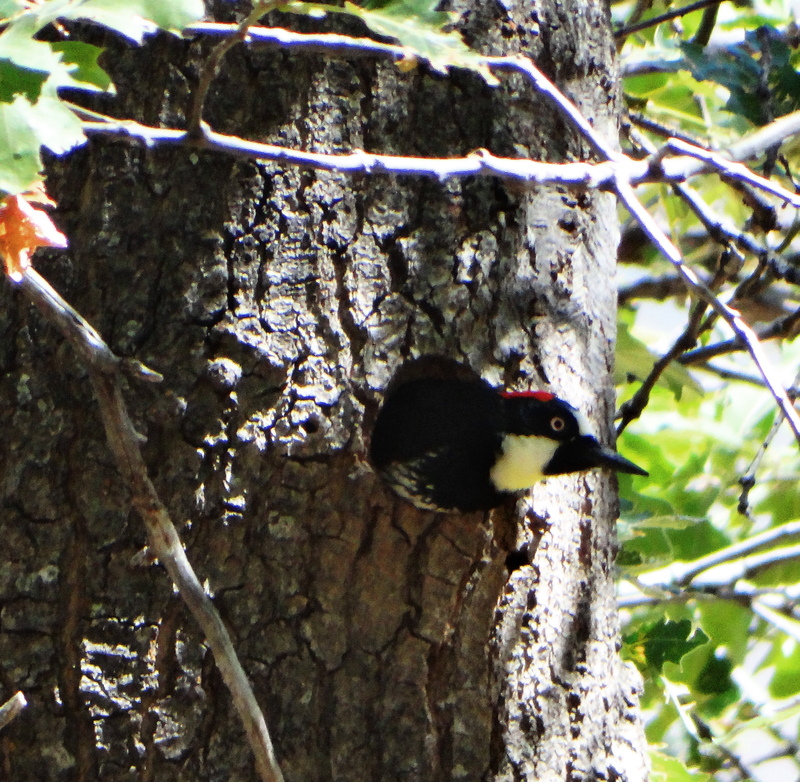 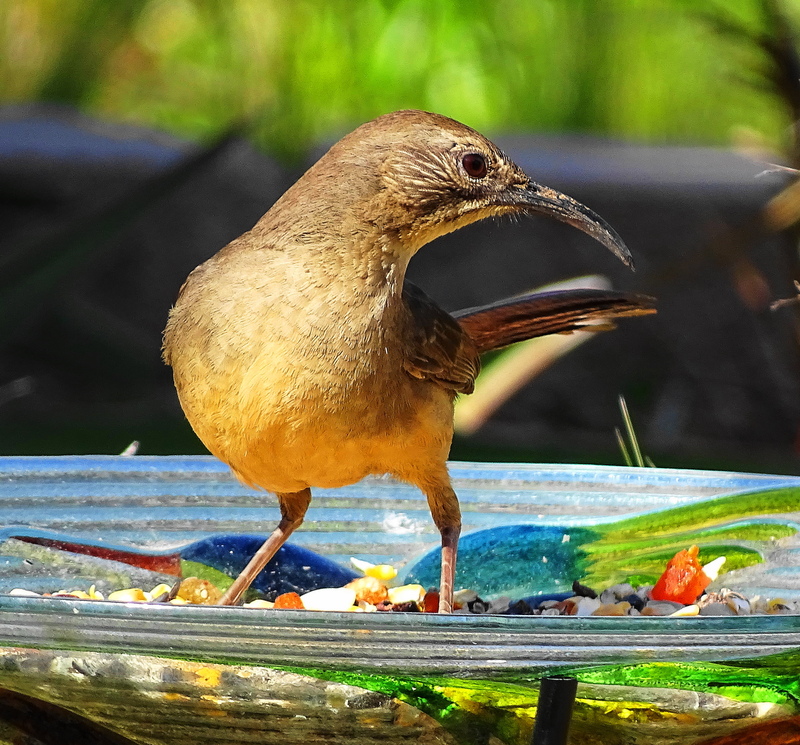 These birds have such powerful beaks they can crack sunflower seeds in one chomp! 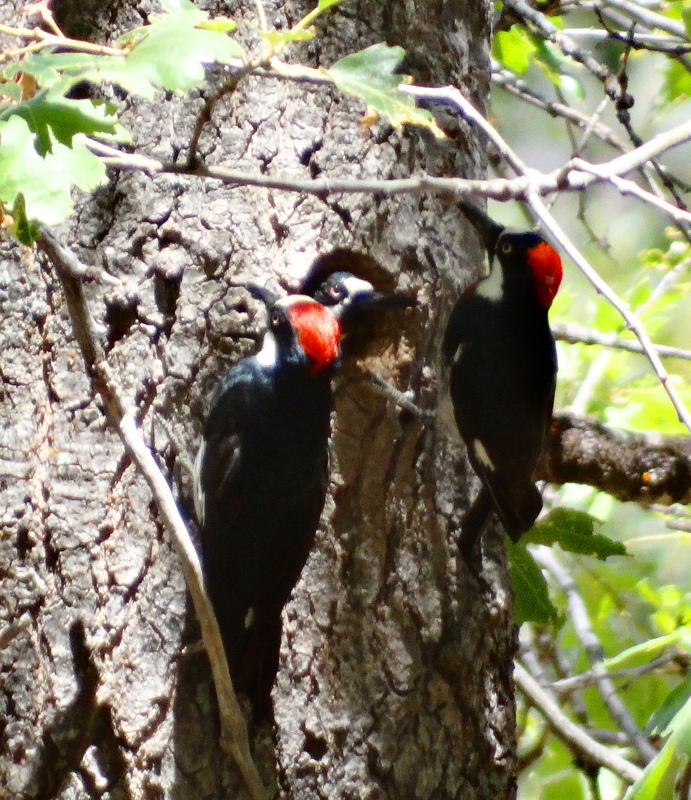 They seem to be arriving in greater numbers which is encouraging. 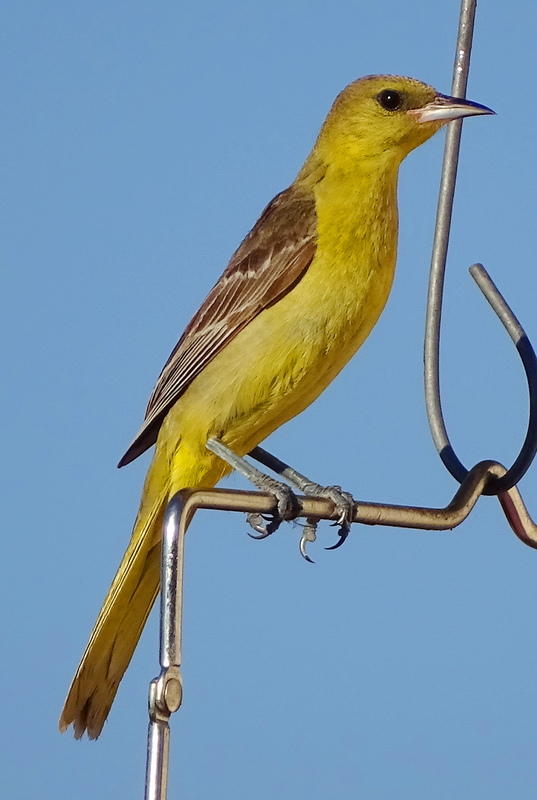 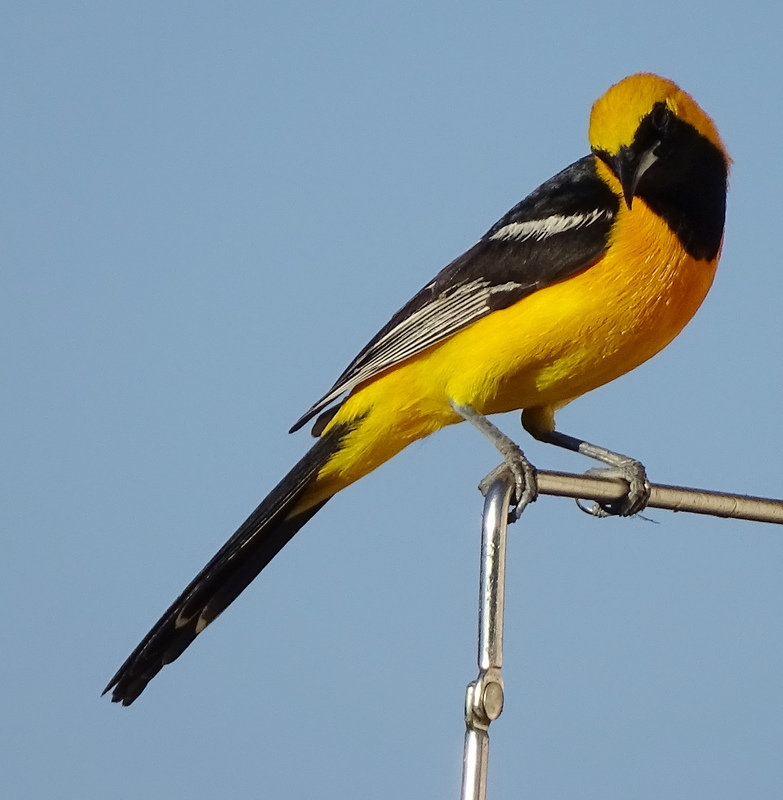 The Bullocks Orioles are new arrivals at The Holler this year. 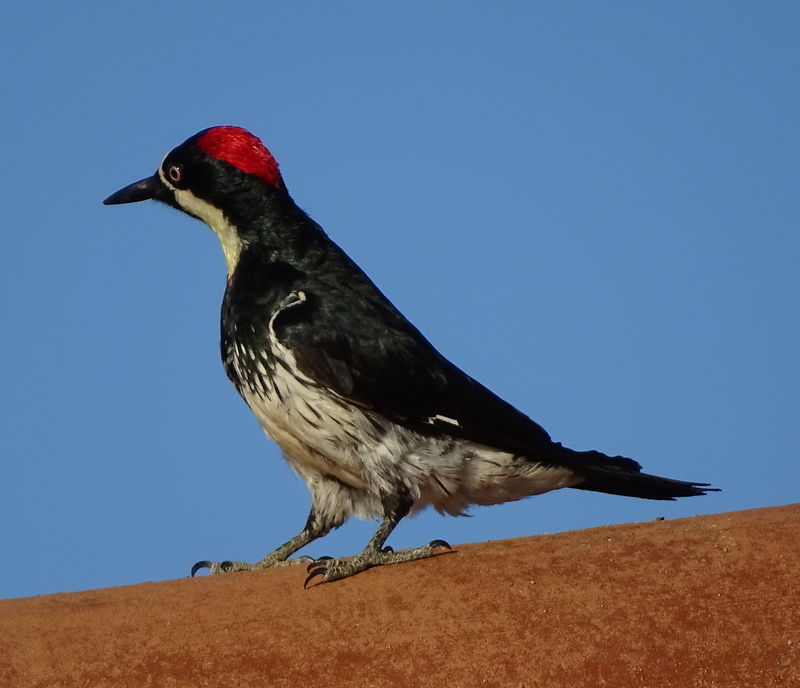 They are less assertive than their hooded cousins and can be identified by the black stripe across their eyes. 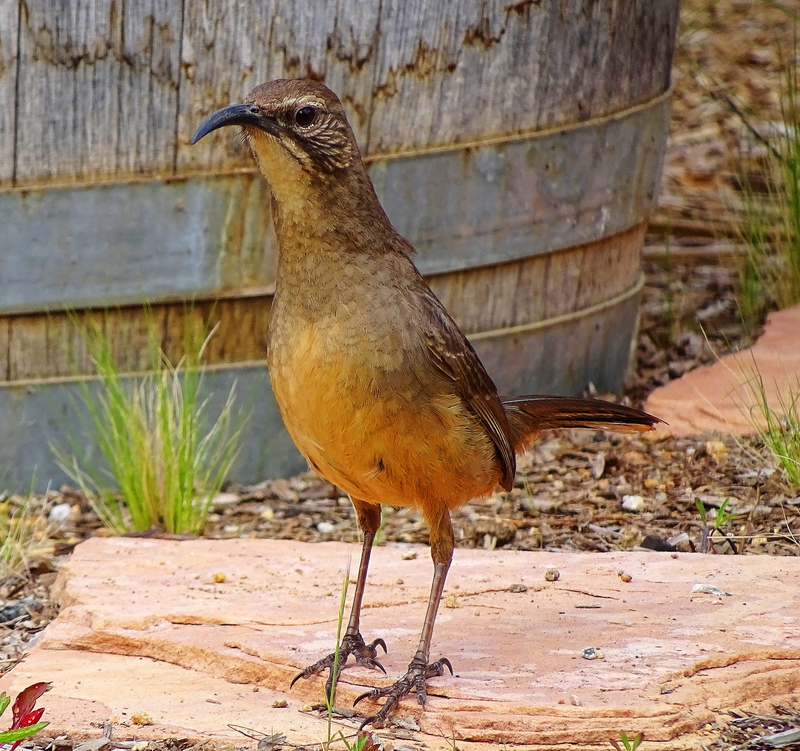 The California Thrashers live at The Holler year round, and stay mostly on the ground where they run around in such a hysterical, late-for-a-date-state, they are hard to photograph. 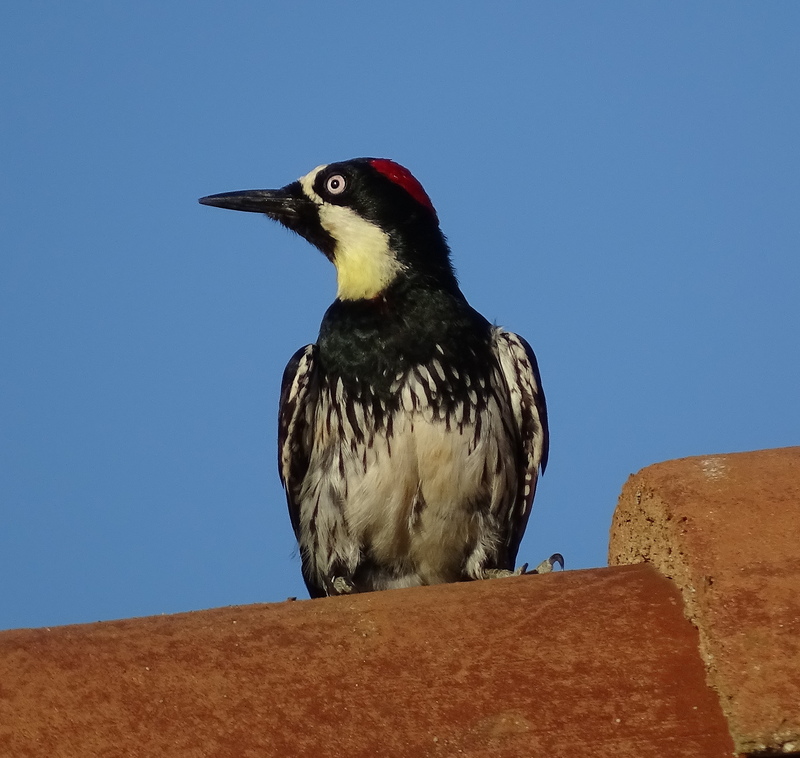 I think this one was stunned into temporary paralysis by the sudden arrival of all the spring competition which enabled me to finally get a few clicks of him!